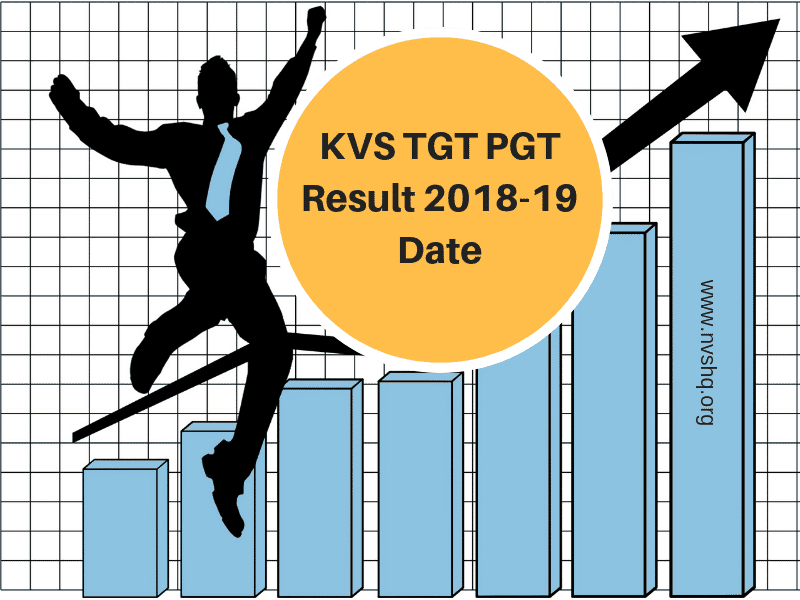 KVS TGT PGT Result 2019: KVS Final result for TGT PGT PRT posts has been announced on 11th March 2019 as per the official notification. 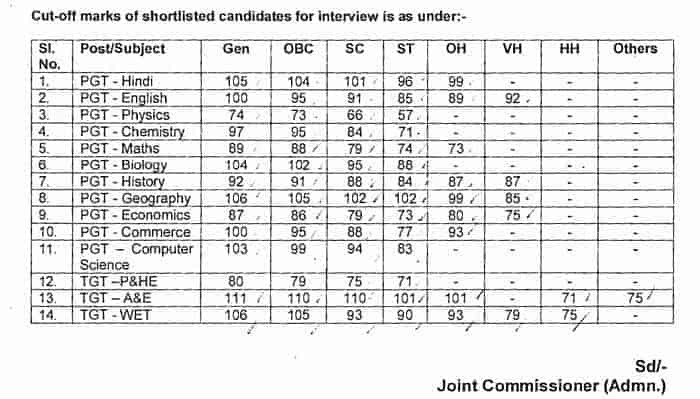 Candidates those who have appeared in the KVS interview round can check the list of KVS PGT interview result of shortlisted candidates. Latest: KVS Final Result of PGTs, TGT, Librarian, and PRT has been declared. Recruitment examination was jointly conducted for various Teaching and non-teaching posts such as TGT, PGT, PRT, Librarian, Vice-Principal etc. in the month of December 2018 (22-23 Dec). The result for the post of Librarian and PRT (Music) has been already released. The Final result for TGT PGT PRT posts has been announced on the official website of KVS. All the updates related to the interview result will be updated here in this page. Once the result is declared shortlisted candidates will get call letter for joining. In this article, readers will get complete information about KVS TGT PGT PRT results 2019. The article includes details about result dates, result download procedure, details mentioned on the result and other related details. Quick Update 28/01/2019: List of Shortlisted candidates for interview for PRT and TGT’s posts has been announced. Candidates can download it from below link. Update 24/01/2019: KVS TGT PGT Exam Result has been announced now. Candidates can download the list of shortlisted candidates for Interview from link given below. Note:- Take you interview paper with other verification document on date of interview. Kendriya Vidyalaya Sangathan (KVS) is an autonomous body under the Ministry of Human Resource Development (MHRD). KVS run a chain of Kendriya Vidyalayas (Central Schools) across India. It is one of the largest chain of schools in India that has total 1199 Kendriya Vidyalayas. All these schools are affiliated to the Central Board of Secondary Education (CBSE). As the conducting authority will publish the result only through the online mode candidates who are waiting for the result have to download it from the university website. Visit the official KVS website (www.kvsangathan.nic.in) or the direct link mentioned below. Go to the “Announcement” section at the homepage. Search the respective result option in the list. Click on the “download” option. Result PDF will be displayed on the screen. Download the result and take a printout for reference. The KVS result will be published as a selection list of the shortlisted candidates. The result will be published in a PDF form indicating the result. PDF will also include details about the next selection round i.e. interview. Here we have shared all the information that is mentioned on the online result or selection list. Here are some of the important points related to the KVS 2019 recruitment result. KVS result for all the posts will be released between January 27 to 31, 2019. The result can be checked only through the online mode. Candidates have to download the same from the KVS Official portal. No other mode is available. Kendriya Vidyalaya Sangathan will notify candidates through its official website. Candidates are therefore advised to stay in contact with the official web portal for all the latest updates related to result. KVS will publish separate selection PDF/ result for each post. Once the result will be disclosed, KV Sangathan will release the cutoff marks list of the candidates. The cut off will be declared category-wise. Selected candidates have to report the interview venue on time with all the supporting documents. Final result will be based on the interview. Candidates advised to immediately contact the KVS officials in case they find any difficulty or issue regarding the result. Keep visiting our page for more information and updates regarding the KVS TGT PGT PRT result 2019. Candidates can also share there queries with us through the comment box provided below. hindi TGT interview venu Lukhnow ka result kb tk ayega. When will the interview results be declared? KVS Recruitment 2019 Advertisement No. 14. This facility is not available, Sorry! Through the given download links. How to know the mark of pgt chemistry not qualified candidates? When will the KVS PGTresult be released for those who submitted the challenged key? will that be on separate date?